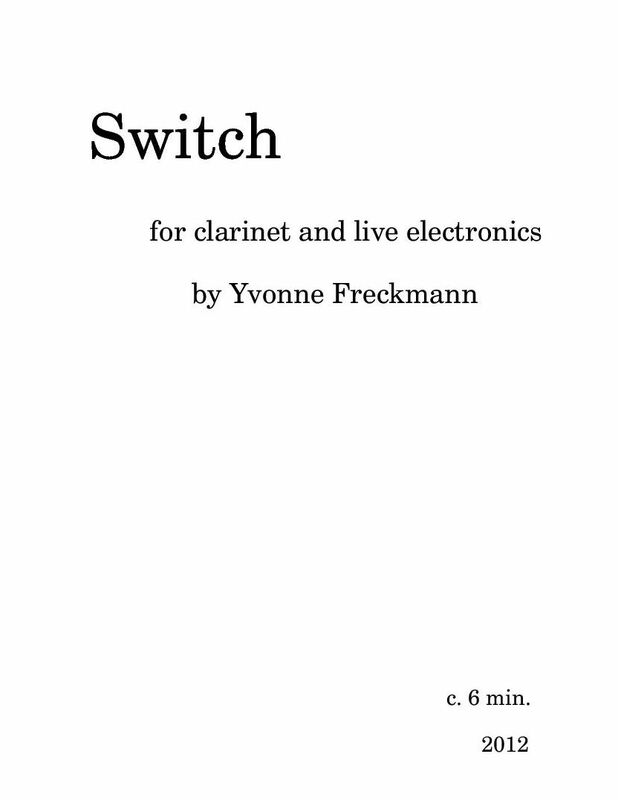 Switch, for clarinet and live electronics, is about a clarinet having a dialogue with itself. Melodies and motives change directions, and other shapes such as palindromes play a central part in the design of this piece. This piece was written for Bb clarinet and Max/MSP, utilizing live processing and pre-recorded clarinet samples. World premiere: Dylan Lloyd and I performed the piece February 15, 2013, Univ. of Louisville Computer Music Concert. Connecticut premiere: Dylan Lloyd and I performed the piece again at SEAMUS National Conference on March 28, 2014. Texas premiere: SOLI Chamber Ensemble Clarinetist Stephanie Key performed Switch as part of SOLI’s 20th Anniversary Season “Future” Concert on May 19 & 20, 2014. Workshop: At the Darmstadt Internationale Ferienkurse 2014 we workshopped the piece during “Scoring and Performing Live Electronics” with Gilbert Nouno. With the help of clarinetist Carlos Cordeiro and IRCAM’s antescofo externals, we tested synchronization and live following of the performer by the computer.